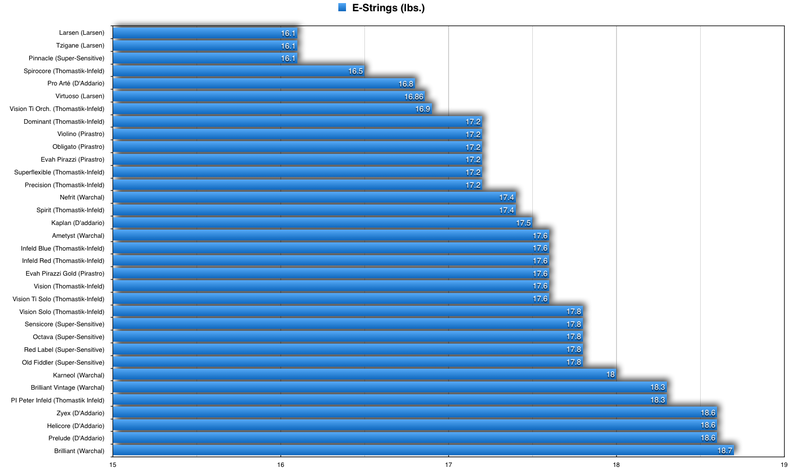 Strings are arranged from highest tension to lowest (in lbs.). Not all tension information is easily available, but if you see something missing please contact us. 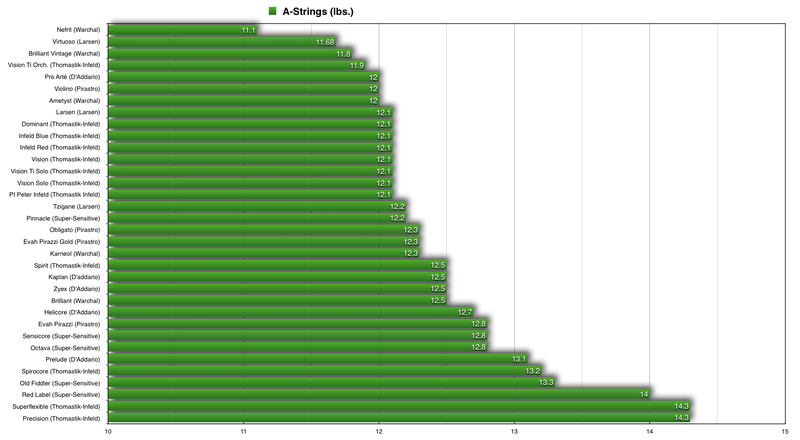 The string tension data has been gathered from the string companies themselves. 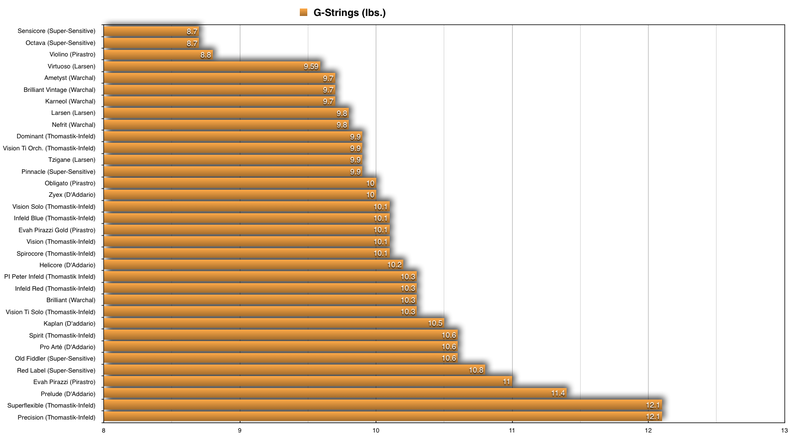 Each company may use slightly different string lengths in their tests which will alter the results. These numbers are not concrete, and should be seen as a general range. 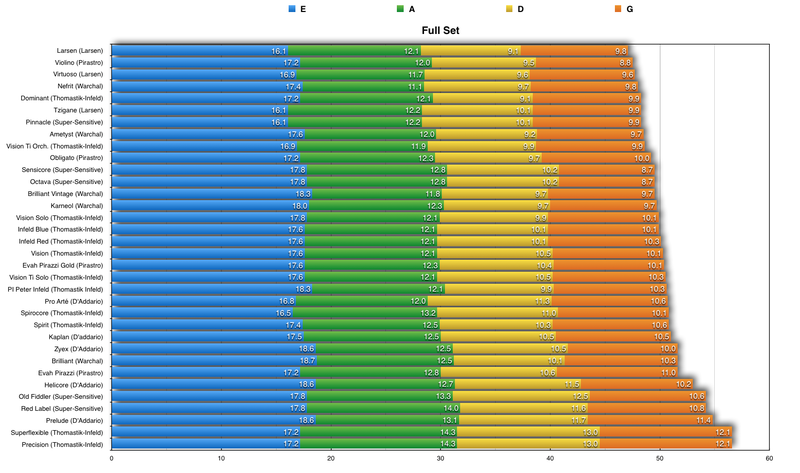 The tensions listed are for the medium gauges of each set. 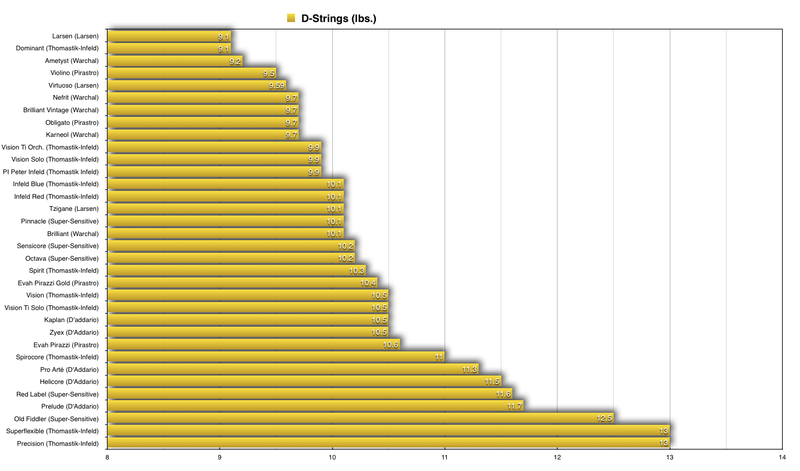 If silver, and non-silver D strings are available, the non-silver string is listed. More detailed information will be on the strings individual pages. Remember, every string is different. One string having a different tension than another does not mean it will sound a certain way comparatively.